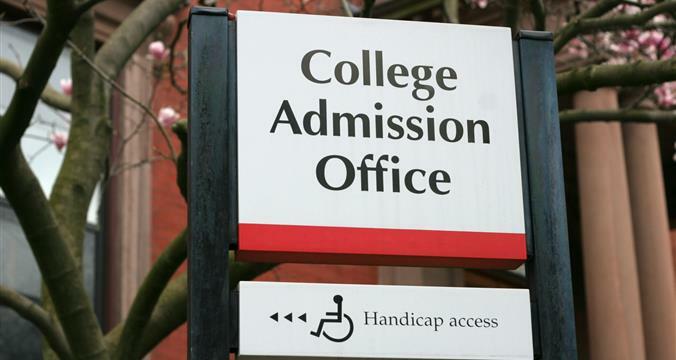 As a former admissions officer at Wharton, I can tell you how difficult it is to make assessments of candidates during the application process. However, I’ve compiled five key factors that you should focus on delivering to be successful for the application process. Keep in mind, the application pool is so competitive, missing one of these key components puts you on, at best, the wait list, but more likely the “deny” pile. Ultimately, no admissions director will accept you if they’re not sure if you will be able to handle the rigors of business school. They make that determination based on a combination of your test scores (GMAT/GRE) and academic history. This is probably the one area where we get the most holes – either GMAT struggles or a tough academic record. There are ways to mitigate these weaknesses – check out our Mitigating Weaknesses webinar coming up soon (sign-up through your www.admit.me profile). Being an expert in candy crush does not demonstrate your ability to do work. Notice that I didn’t say “management”. Not all managers are leaders and not all leaders are managers. This is one of the toughest things to show, especially for younger applicants. Think about ways that you’ve had a leadership role (led a team or project), especially through adversity, and can speak to that through a story in your essays or in your resume. Leading your fantasy football team doesn’t count, but college experiences do count. Work leadership experience is better. Also, think about ways where you’ve had to influence others without management control (“lead up”) – those are some of the best examples of leadership. Remember, you don’t need to have any titles – you just need to have demonstrated leadership! Recommenders tend to be one of the most important places to find out about candidates. While I only saw a few really poor recommendations during my time at Wharton (they tend to be pretty humorous), I saw quite a few mediocre recommendations that led me to believe that the recommender didn’t really support the candidate. That was the easiest way to get to a denial for me AND a way to get to bed earlier J after reading 20+ applications. That being said, recommenders can be huge advocates if you can prepare them to help you. At Admit Advantage, we prepare recommender packages that provide the recommender with the demonstrated leadership, responsibilities to highlight, corporate contributions, yMBA/MBA schools/ST< goals, etc. The more they are prepared, the better you will be. Do what you can to get the recommender to write it – ethics aside for a second, it will be a better product if they really support you and they write it themselves. I could write a separate blog topic on this alone (and probably will). This one is easy to understand, but tough to execute. Think about your differentiating factors and deliver that message across the entire application process including your resume, recommenders, application, essays and interview. Differentiating factors include those key demonstrated character traits that you can articulate from your personal, professional and community experiences. See – I told you…easy to understand; tough to execute – that’s why I have a job! Given how competitive the process is at selective schools, there is no reason to accept a candidate that doesn’t have a good story to tell about where they want to go and how they plan to get there. Gone are the days where every application has a question about your short-term goal, long-term goal, why you want to get an MBA, why now is a good time and why that particular school is the right fit (that was the first essay question of nearly every school ten year ago – oh, the glory days). Don’t think that they don’t want that information – they really do, but applicants (and their advisors) have gotten very good at answering the question, so it makes it tough to differentiate. That being said, speaking to what you want to do in your career in the short-term and long-term (especially if you’re a career changer) shows good self awareness and that you’ve done the research. Lots of candidates are unrealistic about what they will accomplish post-MBA and it’s a red flag for the program if you are going to spin your wheels looking for a job after school! Owning an iPad does NOT necessarily make you a good candidate for Chief of Marketing at Apple. Talk to other MBA alumni (connect with them on www.admit.me) and get a sense for a realistic career path post MBA. We all struggle with finding our true calling in our career, so you don’t have to know for sure, you just have to provide a believable story that makes sense.